Time to break out the Christmas decorations! Having moved this year to a new city I don’t have any Christmas decorations on hand so I thought why not whip up something quick and easy with some holiday sparkle. Who wants one? I’ll make one for you because they are way too pretty to keep just to myself! Holiday nails in a festive plaid as part of the countdown to Christmas! Can’t believe Christmas is only 3 days away and I still haven’t completed all my holiday shopping (eeek!). Anyone else scrambling to get those last minute holiday things done as well? As Jenna Marbles would put it, I’m being ‘festive as f***’. For those who haven’t seen the video “What a Girl’s Nail Art Means” click here. I highly recommend it! 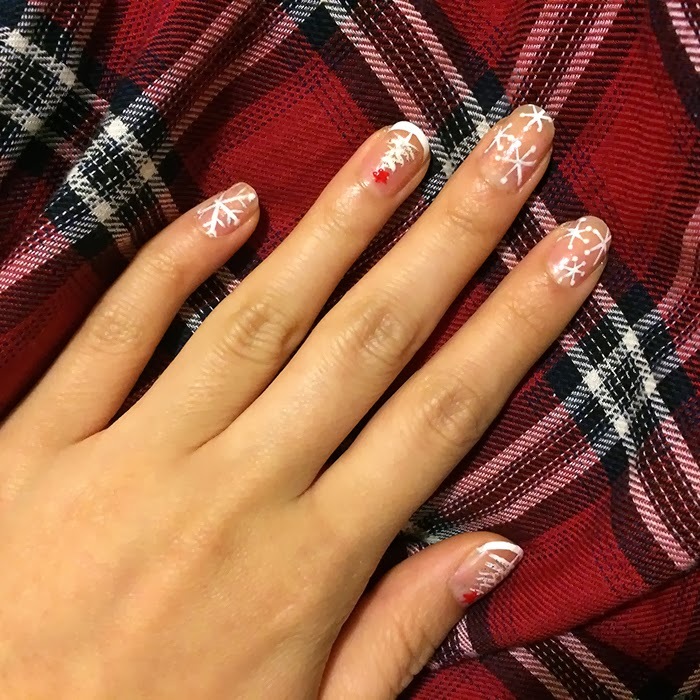 Holiday nails are a must and clearly I have way too much time on my hands… but here’s a quick and elegant Christmas nail art design that doesn’t have the tacky green and red combination that makes me cringe at this time of the year.